Malas the translation from Sanskrit as “heavenly garland,” malas are used to count mantras, prostrations, names of the Buddha, sacred prayer, or affirmations. A mala’s true benefit is activated when your bright awareness brings your intention and commitment to the recitations. 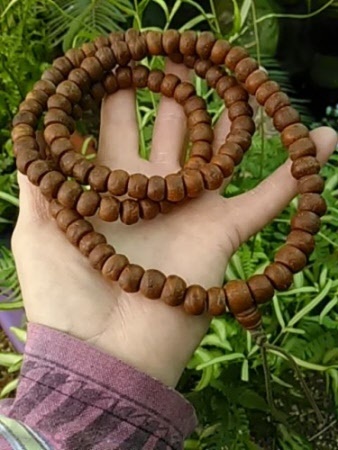 In Buddhism a mala is made of 108 beads crafted from seeds, stone or wood. Also available are wrist malas. 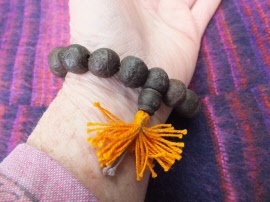 Malas are also sometimes used during yoga.